NYC Managed IT Services & Unified Communications Provider : Consolidated Technologies, Inc.
Consolidated Technologies, Inc. is a leading unified communications and managed IT service provider in New York, the tri-state area and beyond. We deliver solutions for a wide range of businesses in many different industries. Whether you’re looking to integrate your phone systems or take your communications to the cloud, CTI has the communications experts you can rely on for continual success. Our professionals work hard to complete the job 110% and know how to handle the exception to the rule. We manage your systems so they don’t manage you. Reliable, Secure Unified Communication Solutions for your business. Integrated solutions to keep your business communications running smoothly. Enterprise networking solutions that support IP telephony, BYOD and everything else. Solutions that balance inbound and outbound communications so that no one is left waiting. Security solution that keeps you safe without slowing down your business. Custom solutions for your industry to help you outperform competition. Consolidated Technologies, Inc. offers a full suite of CTiQ Managed Services with certified professionals on staff to keep your business operating efficiently and effectively. Help your business with the data services and IT help desk solutions you need during times of growth and change. 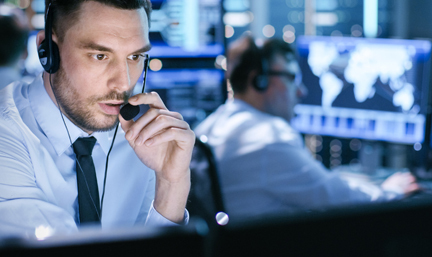 Visit our managed services page to learn about server care, business continuity offers, security, maintenance, monitoring, identity theft protection and much more. See our full list of outsourced IT services for New York and the surrounding areas. CTI cuts a clear path when it comes to unified communications. We are an award winning UC provider located in New York delivering some of the smartest IT and communications technologies available to businesses in the NY tristate area. Unified communications empowers your business to be more productive and communicate more effectively. UC services allow you to bring your voice, chat, data, applications, location and other services under the same umbrella so you can use all the data you generate to make smarter decisions. 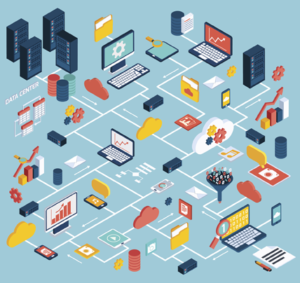 Our professionals can assist you in putting the best business intelligence tools into place so that systems and third-party applications work for you every day. 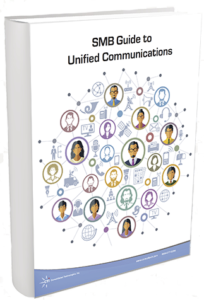 Visit our Unified Real-Time Communications page to learn about our UC solutions and products from brands including Avaya, Microsoft, Cisco and many more. CTI offers full cloud communication solution support as part of being a leading managed IT service provider based in the NYC metropolitan area. We help businesses operate more efficiently and implement smart revenue plans by eliminating onsite voice servers and cutting costs and maintenance requirements. 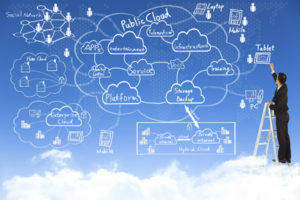 With Cloud Communications from CTI, you can get rid of all the bulky hardware, the maintenance contracts, the software upgrades, the long distance charges, the service outages, and even the “phone company.” Turn to CTI’s leading New York outsourced IT services to ensure your business always looks and remains professional. Visit our cloud solutions page to see all the ways cloud based unified communications can make your business more efficient. Consolidated Technologies, Inc. has the partnerships and experience so that we are able to create unique, custom approaches that fit your business. We’ll use your existing business collaboration and communications systems and improve them with a custom solution. Smart integration allows us to offer leading unified communications and outsourced IT support. Together with leading brands, CTI can empower your business to deliver the information your team and customers need at the right moment across many different channels. Learn about our solutions with Avaya, Microsoft, HP Enterprise, Cisco and other leading partners on our partner’s page. When you need outsourced or managed service providers in New York and beyond, look no further than Consolidated Technologies, Inc. for the latest technology and the smartest platform. I wanted to write to share how happy we are that we chose CTI to handle all our IT needs! All the involved CTI engineers and supervisors are not just excellent with their technical knowledge and abilities, but are also very nice people – people who care, people who listen, people who are patient with us – and are on time and on task, all the time. I wanted to take a few seconds and let you how much I appreciate the efforts of CTI’s Team. The planning and execution of the three Communication Manager upgrades last week was flawless. Trust me when I say in my humble opinion it should have been recorded as an example for all Avaya customers. CTI is a dedicated team that does everything they have to do to make the project the best it can be. The people, the product, the system all works because you are all 5- Star All-stars. Thank you for all that you do. You are appreciated and respected by this IT Manager. Thank you for the excellent service you and your team provided last week. I would be glad to enthusiastically recommend Consolidated Technologies to any of your prospective clients going forward. In an era where customer service is almost nil due to automation, CTI’s continued interest in my account, whether it be calling or emailing to ask if everything is going well, is very commendable. Are You Ready to Start Outsourcing Your IT & Increase Your Bottom Line? Get a Free Consultation For Your Business!